Unbelievable price for a cheap toaster replacement or have it a spare in case of emergency. Priced at $7 with further 50% discount make it awesome. Plenty of stock available at the time of writing. Knives are not on discount, that's where they get you. I can imagine how long this will take to toast bread. I had this and was actually quicker than the $100 de longhi i have now. I'll keep my eyes open in six months, during curbside recycling. Oh please. I'll be returning mine in response to the recall to get my $3.50 back. "The problem price is," said Yoda. I've got this toaster and it's actually really good. Browns bread to perfection on setting number 5. About 12 months of nearly daily use and running like a trooper. I use normal sliced loaf and Pana de casa no problems. Definitely wouldn't do crumpets or larger slices. Before this I had a sunbeam stainless steel ($90) toaster that only lasted 2 years. I made a decision then never to over invest in a toaster. If I was a local I would purchase a spare. Browns bread to perfection on setting number 5. Good lord. On any toaster I've ever owned, I've never turned it up past 3. I'm guessing either this is a less sensitive dial, or you just love the smell of burnt toast. how'd you know his name was bill? Can i use this as heater in this winter for my bathroom? As long as it doesn't come in to contact with water, sure. Just don't use it to heat the bath water. Seriously… who keeps a spare toaster in case of emergency?? when the bombs drop my friend, you will look up to us, those who kept…a spare toaster. I missed the fine print that they were bomb proof. Upgrading now. While most people are raiding supermarkets, us ozbargainers will be in our 80% bomb shelters (bought three, was on sale) running our toasters on eneloops, laughing. I have 3 spare sandwich presses and 2 spare rice cookers. <— grabbed during a clearance at stupidly cheap prices. I keep some for my rentals. Last one lasted 2 solid years, so for 3.5 why not by a few for spares!! Perhaps you're too young to remember the Great Toaster Crisis of 1983. They were dark days, my friend. There was nothing dark about it. That kettle almost looks exactly like the IMK kettle from Spotlight. Seriously though, the only time someone ever has spare toasters is right after marriage. Is it really worth buying a toaster for emergencies? I mean is it an emergency if you don't get your toast one morning? Couldn't you just go to Kmart then and pay $7 for the toaster, having invested your $3.50 in high yield shares, profiting as well? Time is money. Waste an hour driving to Kmart and going through all that versus a crappy toaster in the garage which you can use until you work out whether you want a good one or entry one and whether you want to go to kmart now or on the weekend. It's the cheapest insurance policy you will ever take out! Cheaper than toast from a cafe! This is ozbargain, nobody here is buying wonder white. How much is that kettle next to it? 1957? how old r u sir? Well, it will be $1.75 per slice if it only works once. have it a spare in case of emergency. Yes, I often have emergencies where toasted bread is a necessity. I mean, thanks for posting OP, but I question the need to buy a toaster if you have a perfectly functional one at home at the moment. 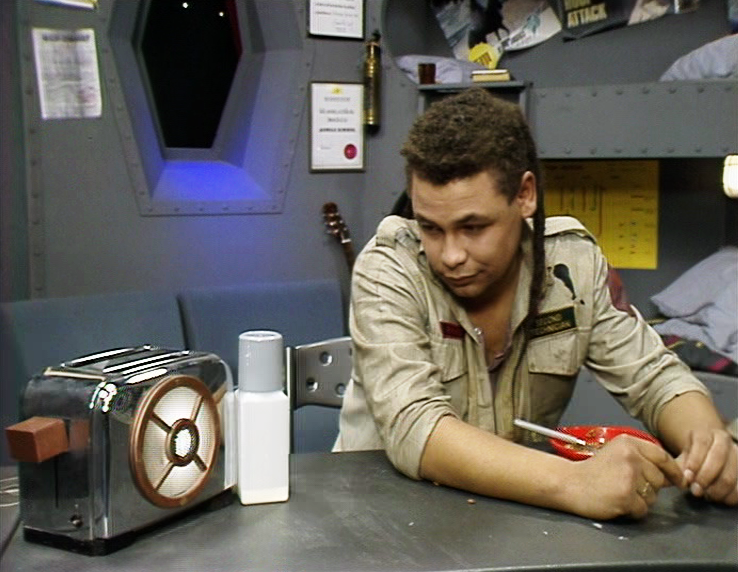 everyone giving you crap but hey, i got an emergency toaster in the shed. just a clearance woolies one. takes hardly any space in the shed and was $5. good for the whole family. $5? You were ripped off. Do you think everyone should have a spare toaster? So essentially the world should have double the number of toasters in it than what is actually being used in the kitchen at any point in time? This is what happens when the local work experience kid orders 1000 units instead of 1. Thank you Chadstone Target work experience kid. Don't worry; the rest of your working life with be full of other miserable accidents as well. Enjoy adulthood! Can a normal size white bread (coles) fit into this ? And how long this offer runs, and only on chadstone store ? Are you talking the $1.50 loaf or the $2.30 loaf? I've found in my toaster (IMK/Spotlight), the bigger sliced $2.30 loaf doesn't fit, but the smaller sliced $1.50 loaf and crumpets/square crumpets (?) fit in nicely. I'm going to mount it in a special case with an axe next to it to break the case open in an emergency. I like to butter and eat my toast while its still hot and having 2x(or more) 2 slot toasters means you can stagger when they start and finish so your toast is always hot. Vs a 4 slot toaster where the last piece is only warm by the time you get to it. Many moons ago i had to choose between 1x 4 slice toaster for $20 or 4x 2 slice toasters for $5ea. The cheap toasters lasted 2+ years each. Get a 4 slot toaster with two levers. Damn I hope my local NSW store has some. Our 4th toaster in 3 years just broke down but to be fair they were all second hand or heavily used anyways.